308 pages | 2 B/W Illus. In a democratic society, police are expected to be accountable to the people they serve, upholding the rights of citizens and following due process. In India, however, political pressure in the competitive electoral arena forces the police to adopt questionable means and dubious strategies. As a hierarchical bureaucratic organization, disciplined in a military tradition and schooled in colonial traditions of deference to authority figures, India’s police personnel have effectively alienated the very people they are supposed to serve and protect. In response to the overwhelmingly bleak pessimism of researchers and analysts scrutinizing India’s police force, The New Khaki: The Evolving Nature of Policing in India highlights those unobtrusive and indirect paths toward effective transformation in spite of politicians and bureaucrats. Analyzing the obstacles to reform, the book argues forcefully and systematically to present areas of potential innovation and successful case studies. Focusing on practical and actionable options, the book examines how the use of new technology, the judiciary, and other creative administrative mechanisms can give determined police leaders the methods to change the policing system and its practices. It also provides strong evidence for the role of research and scholarship in transforming the police organization, offering illustrative examples and creative responses to endemic problems. The case studies presented here suggest that even when the powerful sections of society and those who control the police are not ready to bring changes, imaginative police leadership can find creative means to transform their organization to serve the people. 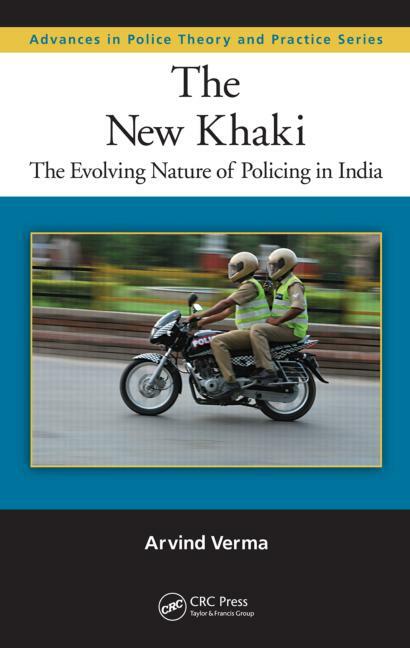 The New Khaki: The Evolving Nature of Policing in India is a must-read for all those who are concerned about policing and interested in its improvement for a better world.